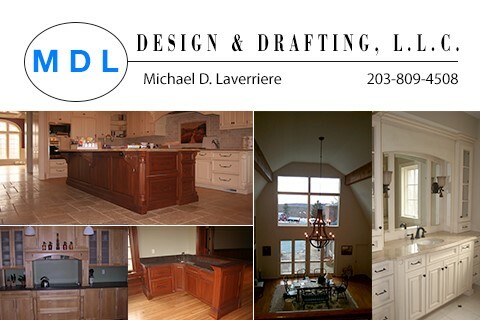 MDL Design & Drafting, LLC. has offered architectural drafting services for over ten years. Drawings include, residential new home design and restoration, construction documents, to code, for building permits. Interior space planning, design of residential and commercial facilities. Design of custom cabinetry and shop drawings, for construction of any type of space. Time is always of the essence; prints are always needed ASAP, to get a project started. Well, detailed quality prints are used to ensure a job be properly completed to your specifications. Creative, focused, and proactive contributor in challenging, precise environments, offering hands-on experience as an Architectural Designer, coupled with the appropriate application of project management principles to consistently achieve or exceed client and management expectations. Collaborate effectively with engineers, architects, sales and marketing personnel, and with customer representatives to ensure project requirements are met, resources managed effectively, and budgets and timelines closely adhered to. Expertise also includes RFI's, change orders and engineering specifications, review and approval.